The alloy strip, embedded within the mudflap, ensures exact contour tothe shape of the wheel arch. M6x20 Anodized Aluminum Fender Washers & Bolts Engine Auto Car Accessories 10PCS. 1156 BA15S P21W 33 SMD LED Car Backup Reverse Rear Light Bulbs White Red Amber. 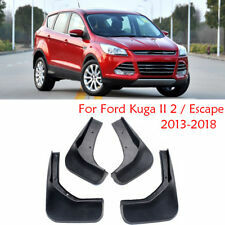 12x Universal Car Interior Door Lock Screw Protector Cover Anti-Rust Cap Trim. HEIGHT (Top to bottom) 15" (380MM). HEIGHT (Lower Square area) 6.5" (165mm). Small Size: 26cm x 19.8cm/ 10.24" x 7.8". Detail Image. - Direct Fit But Minor Drilling Will Be Required For the Screws. There Are No Instructions Included In This Kit. 1156 BA15S P21W 33 SMD LED Car Backup Reverse Rear Light Bulbs White Red Amber. 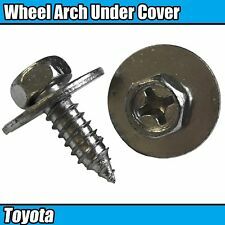 12x Universal Car Interior Door Lock Screw Protector Cover Anti-Rust Cap Trim. Sharp Silver Bumper Spike Guard Protector Fit For Benz SMART Fortwo ED 451 08-14. 1pc For BMW Grill M Sport Tech 3 Color Stripes Sticker Vinyl Decal Badge Emblem. 2PCS 60mm-120mm COB LED Car Angel Eyes Headlight Light Halo Ring For BMW FORD. Car Van Bike Scraper For 3M Pro Felt Edge Vinyl Wrap Wrapping Squeegee Tool. These can be bought in any motor factors. Trailer Parts & Accessories. Fitting position: Front or Rear. Car Care & Accessories. Now screw into place and make sure they line up correctly and job is done. Isle of Wight. Screws keep the mudflap tighter against your car,preventing soil accumulating. Universal fit suitable for Flexibility of the mudflap allows it to follow the contour of the wheel arch, providing aperfect fit. Screws keep the mudflap tighter against your car, preventing soil accumulating. (OEM Chassis only, Not Compatible with Side skirts (Ground kits) or body modifications). 5M Car Door Edge Guard Trim Protector BLACK U Profile Roll Moulding Trim Strip. 12V BA15S 382 1156 R10W 382 4 COB LED Car Turn Signal Reverse Back Light Bulb. PVC front Grill Stripe decal M sport sticker for BMW X5 E53 E46 E39 E60 E90 set. 5M Car Door Edge Guard Trim Protector BLACK U Profile Roll Moulding Trim Strip. 12V BA15S 382 1156 R10W 382 4 COB LED Car Turn Signal Reverse Back Light Bulb. 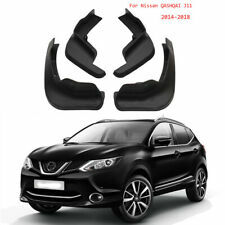 For Nissan Qashqai 2014-2019 J11. Fit for Nissan Qashqai J11 2014-2019. There are words showing directions:left front, right front, left rear, right rear. As for very few car models, if the original car don ?. Screws keep the mudflap tighter against your car, preventing soil accumulating. 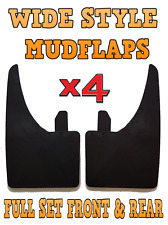 Flexibility of the mudflap allows it to follow the contour of the wheel arch, providing a perfect fit. 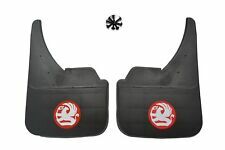 Alloy strip, embedded within the mudflap, ensures exact contour to the shape of the wheel arch. 1X Car Airbag Simulator Emulator Resistor Bypass SRS Fault Finding Diagnostic. Red Car Truck van Beverage Drink Water Cup Bottle Can Clip-on Holder Stand Mount. 4pcs 56029398AA NEW Tire Pressure Sensor 433MHZ TPMS For Chrysler Jeep Dodge. Wheel Arch Splash Guard Under Tray. If there are any problems, then we will try to resolve them for you. No fitting instructions are provided with the product. We have many years experience in the automotive components and fasteners industry. Peugeot Wheel Arch Lining Under tray & Splashguard Plastic Trim Clip / Rivets. No fitting instructions are provided with the product. If there are any problems, then we will try to resolve them for you. 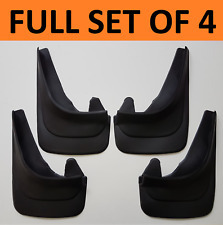 SET OF MUD GUARD FLAPS Four pieces Supplied and 16 clips Wheel Splash Guard Suitable for all kinds of vehicles Assembly with the clip fittings Sturdy and long lasting Dimensions: 32cm x 21.5cm FAST DISPATCH PLEASE NOTE Important notice BEFORE ordering Please DO NOT rely on the compatibility list to make your decision of parts, as cars come with many variations and fitments on the same make and models. Check things like dimensions size and other stated fitment criteria prior to ordering to make sure you get the correct part as vehicle parts can have more than one option due to changes on chassis / engine number or modification. We cannot be held responsible for wrong parts ordered if you have not carried out the above. If you have any questions about fitment, give us a call. 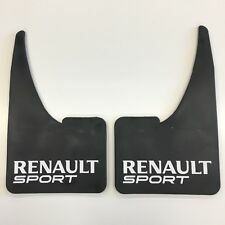 (2016-2018 VW Tiguan Mud Guards. 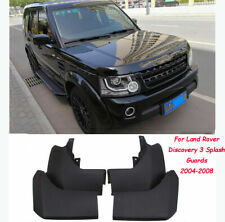 OEM Chassis only, Not Compatible with Side skirts (Ground kits) or body modifications, Side Skirts etc). 1X VW TOUAREG PHAETON PORSHE CAYENNE 02-10 PARKING SENSOR PDC NEW 1U0919275. Part Number: 31269668 & 31269669. 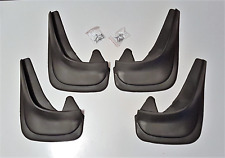 Mud Guards Fit For 2012-2018 Volvo V40. 1156 BA15S P21W 33 SMD LED Car Backup Reverse Rear Light Bulbs White Red Amber. 12x Universal Car Interior Door Lock Screw Protector Cover Anti-Rust Cap Trim. Volkswagen VW TOURAN 2016-2018. Not Fit “Touran Sport” and “R-Line” Due to thicker side bumper. There are words showing directions:left front, right front, left rear, right rear. Fit for Volkswagen VW TIGUAN 2017-2018. Part Number: 8X0075111 & 8X0075101. H10 80mm Long 1/4" Shank 10mm Hex Socket Impact Nut Setter Driver Bit Adapter. 4x LED Wheel Tyre Tire Valve Dust Cap Light For Car Auto Motorcycle Bike Bicycle. New Car TPMS 13581558 Tire Monitoring Pressure Sensors 13586335 For GM Chevy GMC. 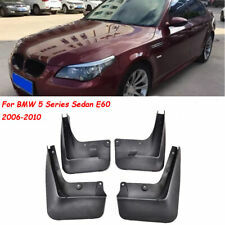 5M Car Door Edge Guard Trim Protector BLACK U Profile Roll Moulding Trim Strip. 12V BA15S 382 1156 R10W 382 4 COB LED Car Turn Signal Reverse Back Light Bulb. 30x 150cm Light Smoke Black Tint Film Headlights Tail lights auto Car Vinyl Wrap. Trailer Parts & Accessories. Fitting position: Front or Rear. These can be bought in any motor factors. Now screw into place and make sure they line up correctly and job is done. Car Care & Accessories. Part Number: 5N0075111 & 5N0075101. 2008-2015 Tiguan Mud Guards. 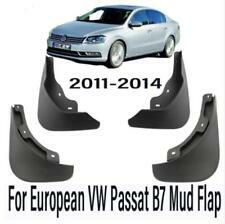 FOR VW TRANSPORTER T5 T4 PASSAT B5 GOLF LUPO BORA Sun Visor Clip 3B0857563 Grey. Car Door Edge Guard Trim Protector BLACK U Profile 5M Roll Moulding Trim Strip. Also, improves the look and styling of your vehicle. This includes a complete set of 2 pieces (rear left & right). Made for TOYOTA Hilux Vigo year 2011-2015. 1x Rear Left Mud Guard. 1x Rear Right Mud Guard. 1X Car Airbag Simulator Emulator Resistor Bypass SRS Fault Finding Diagnostic. Mud Guards Fit For 2007-2018 JAGUAR XF XFL. 1156 BA15S P21W 33 SMD LED Car Backup Reverse Rear Light Bulbs White Red Amber. 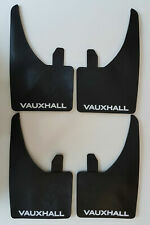 Feature: Set of 4 mudguards for front and rear. Quantity: 4pcs. The car with wheel eyebrows can't install fenders. Color: Black. These can be bought in any motor factors. Fitting position: Front or Rear. 1X Car Airbag Simulator Emulator Resistor Bypass SRS Fault Finding Diagnostic. M6x20 Anodized Aluminum Fender Washers & Bolts Engine Auto Car Accessories 10PCS. 1156 BA15S P21W 33 SMD LED Car Backup Reverse Rear Light Bulbs White Red Amber. 2pcs 1157 BAY15D 50 LED SMD P21/5W 380 Car Brake Tail Stop Light Lamp Bulb Red. 30x 150cm Light Smoke Black Tint Film Headlights Tail lights auto Car Vinyl Wrap. 1157 BAY15D 50 LED SMD P21/5W 380 Car Brake Tail Stop Light Lamp Bulb Red White.